Plumbago is known for its powdery-blue or white flowers, which are in bloom all year long. It needs little care. 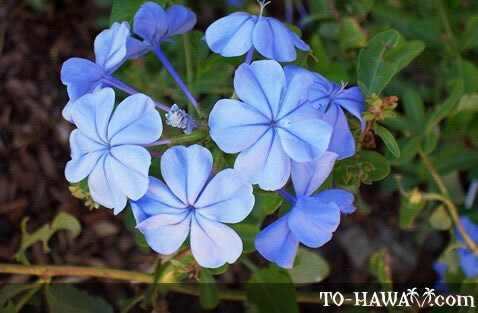 Plumbago is native to South Africa and in Hawaii, it is a common hedge plant.